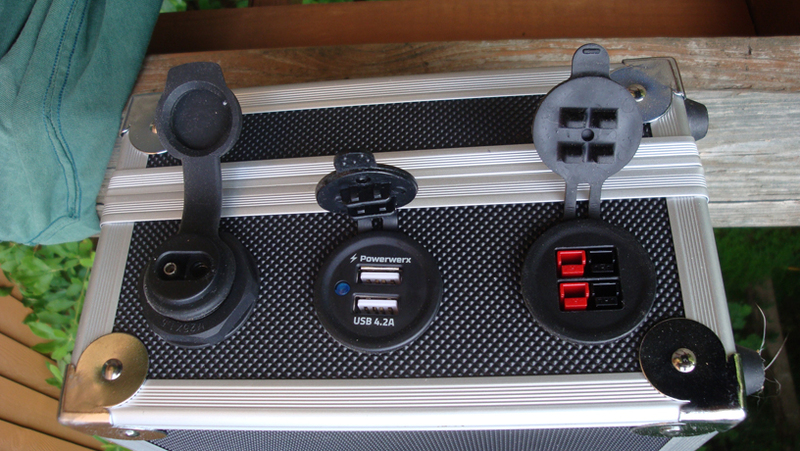 So like many of you I needed a convenient way to provide power when using my KX2 or KX3 portable. 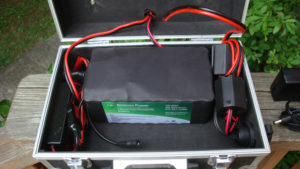 Yes, they have internal batteries, but those power sources only provide limited power output and run time. 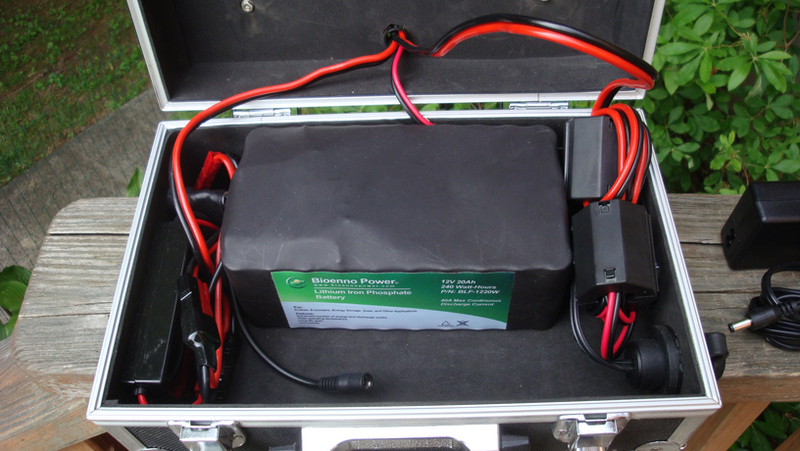 In addition I wanted to be able to utilize photo-voltaic (PV) panel output to charge the battery. 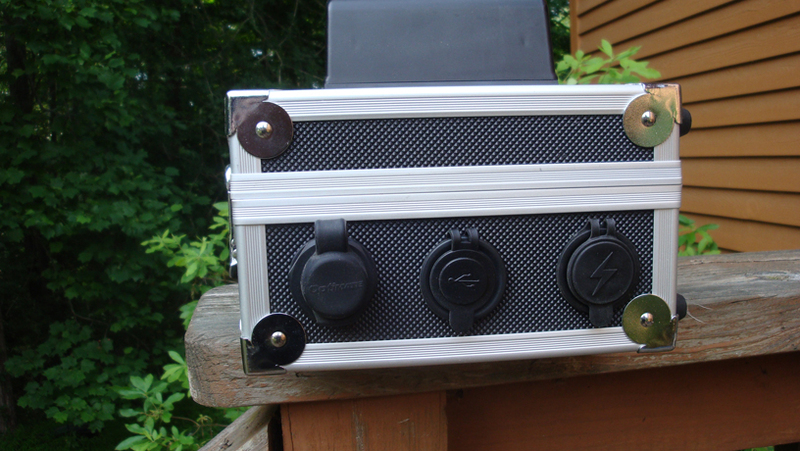 In order to make the system as convenient and easy to set up as possible I re-purposed a microphone carry case I already owned and mounted all of the components in and on it. 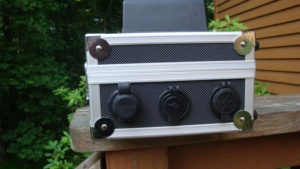 One virtue it had compared to a Pelican case was flat sides on which to mount the various jacks and LCD display. The other (and main) virtue was I already owned it…and it was no longer being used for it’s original purpose. As a ham I am fond of re-purposing existing parts! 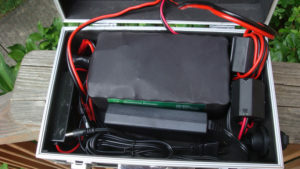 1) Many commodity 12V “charger” PV panels come with this plug. 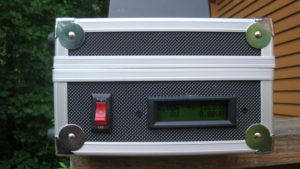 2) It has reasonably low contact resistance. 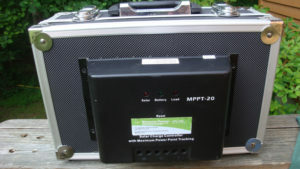 3) It is semi-weatherproof which is important since by definition a PV panel is outside and extension cables if used will place the connector in the weather. 4) It is not mateable with Anderson PowerPoles, so there is no possibility of accidentally plugging a PV panel directly into a load. 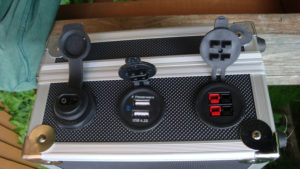 In addition I mounted a dual PowerPole jack and dual 5 V USB convenience outlet for powering and charging 5V devices. I mounted the Bioenno MPPT charger on the outside of the case, since it has a heatsink and I didn’t want the unit to overheat. Once all the components were installed there was enough space to store the 120V Bioenno charger which was very convenient. I was intent on making sure this system was absolutely RF quiet. 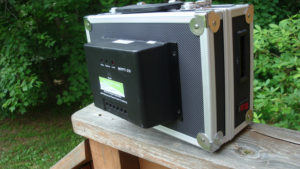 What I have learned as a ham and power supply designer is much of what is thought of as radiated RFI from a device is actually due to common-mode currents. 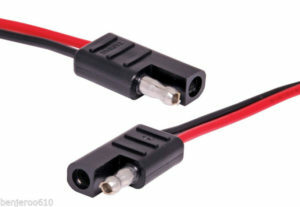 These are most likely to appear due to antenna imbalances, and this can happen with end-fed antenna systems such as those used when portable. In order to break any potential common-mode current paths I installed some large Fair-Rite mix 31 Snap-It cores on the PV and load wires. 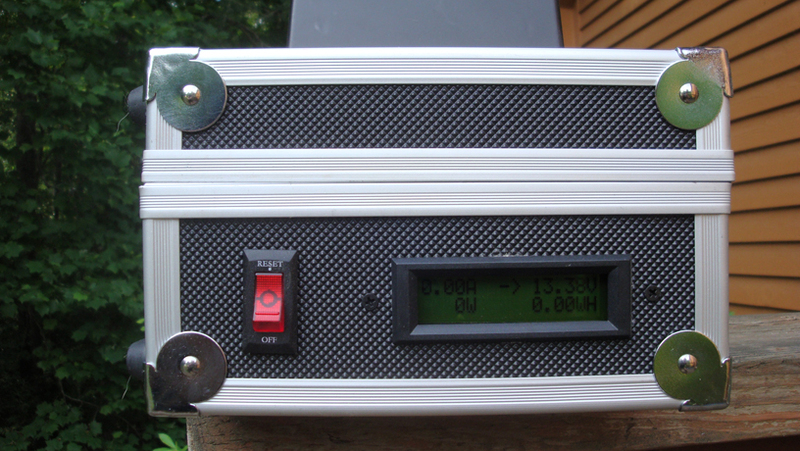 So what I ended up with was good enough to power an Elecraft K3 at the 5W level along with an Asus Transformer T100 laptop for an entire Field Day in 2016. Of course it was very sunny all weekend, so YMMV!